If you've ever been to Brooklands Museum, next to the Railway Straight at what remains of the old Brooklands track, you may have seen the Napier Railton. If you are very lucky you may have heard it start and run. If so, it's a noise that stays with you forever. I took my sons to Brooklands four years ago. A crowd had formed ahead of us so we naturally headed towards it. I had seen an old silver car being wheeled out of a building and the crowd had formed around the car. An old man sat in the car whilst a couple of others worked on it. And then the engine started, fitfully. The noise and sheer physical violence of the thing literally shook the ground we stood on. I didn't know it at the time but it was was the Napier Railton. The engine was kept at tickover for five or ten minutes and occasionally the old boy in the drivers seat would give it a dab of throttle. I was enraptured. With my ears used to shrieking F1 engines, 4 cylinder BTCC cars, turbocharged rally cars the sound coming from the Napier Railton was something different, and better, altogether. The noise of that engine was from a different era, when emissions, fuel shortages, fuel taxes and the environment were of no consideration. 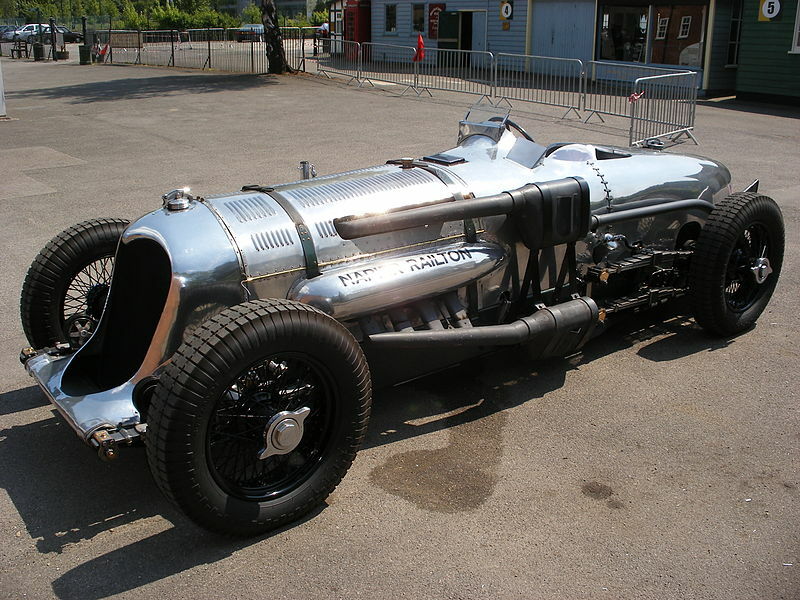 The Napier Railton was built in 1933 by Thomason & Taylor to a design by Reid Railton. The engine is a naturally aspirated Napier Lion aviation engine. 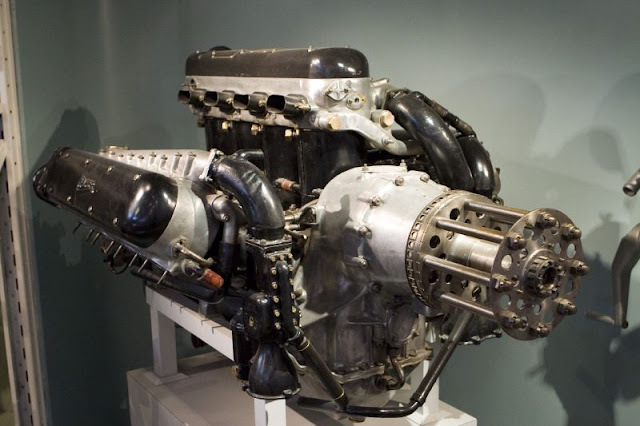 Napier Lion engines had been used in flying boats, biplanes, powerboats - and in Blue Bird, Malcolm Campbell's 1927 car which set a fastest speed of 195mph. The engine came in many different configurations and the version used in the Napier Railton was a 580bhp RAF production model. It had a 24 litre, W12 layout and it's 580bhp was produced at just 2200 rpm. The engine was mated to a 3 speed gearbox, fuel consumption was 5mpg and the car's top speed was 168mph. Oh, and it only had brakes on the back wheels. The Napier Railton holds the all time lap record of the banked Brooklands track - 143.44mph in 1935. A record that it will hold forever since the track was demolished during WWII. If you haven't been to Brooklands museum, you should go. And if you are lucky you might see, and hear, the Napier Railton in action. The video below shows the car being fired up. It doesn't really do justice to what that engine is capable of doing to you when you hear it with your own ears and feel it through your feet.